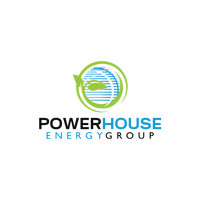 The trading price for Powerhouse Energy Group PLC EPIC code: LON:PHE has moved up 14.59% or 0.05 points during the course of today’s session so far. Investors are a positive bunch while the stock has been in play. The high for the period has peaked at 0.44 dropping as low as 0.39. The number of shares traded by this point in time totalled 33,307,874 whilst the average number of shares exchanged is 8,460,026. The 52 week high price for the shares is 0.73 which is 0.36 points in difference on the previous days close and a 52 week low being 0.27 a difference of some 0.1 points. Powerhouse Energy Group PLC has a 20 day moving average of 0.46 and now its 50 day moving average at 0.51. The market capitalisation is now £7.87m at the time of this report. Share price is traded in GBX. Mcap is measured in GBP. This article was written with the last trade for Powerhouse Energy Group PLC being recorded at Friday, February 15, 2019 at 11:58:33 AM GMT with the stock price trading at 0.42 GBX. Shares in Smiths Group plc EPIC code: LON:SMIN has moved up 1.01% or 15 points during today’s session so far. Traders are a positive bunch while the stock has been in play. The period high has peaked at 1499.5 while the low for the session was 1474. The number of shares traded by this point in time totalled 246,896 with the daily average at 803,683. The 52 week high for the shares is 1810.17 amounting to 330.17 points difference from the previous close and the 52 week low at 1256.74 which is a variance of 223.26 points. Smiths Group plc has a 20 day moving average of 1473.85 and now its 50 day moving average of 1435.94. The current market capitalisation is £5,919.35m at the time of this report. The stock is traded in GBX. Mcap is measured in GBP. This article was written with the last trade for Smiths Group plc being recorded at Friday, February 15, 2019 at 12:02:56 PM GMT with the stock price trading at 1495 GBX. Shares of Tesco PLC with company EPIC: LON:TSCO has climbed 1.47% or 3.2 points during today’s session so far. Buyers seem confident throughout the session. Range high for the period so far is 222.5 and hitting a low of 215.4. The volume total for shares traded up to this point was 8,333,679 with the daily average traded share volume around 26,496,877. A 52 week share price high is 266.8 equating to 48.9 points in difference on the previous days close and a 52 week low being 187.05 a difference of some 30.85 points. Tesco PLC has a 20 SMA of 225.39 and now a 50 day moving average of 212.85. Market capitalisation for the company is £21,653.42m at the time of this report. The currency for this stock is Great British pence.Market cap is measured in GBP. This article was written with the last trade for Tesco PLC being recorded at Friday, February 15, 2019 at 12:02:39 PM GMT with the stock price trading at 221.1 GBX. The share price for NMC Health PLC with ticker code: LON:NMC has stepped up 1.16% or 32 points throughout today’s trading session so far. Traders have so far held a positive outlook throughout the session. The period high was 2808 dipping to 2748. The total volume of shares exchanged through this period comes to 142,575 with the daily average at 906,427. The 52 week high price for the shares is 4376 some 1622 points difference from the previous days close and putting the 52 week low at 2508 a difference of some 246 points. NMC Health PLC has a 20 SMA of 2693.1 and now a 50 day moving average of 2815.96. This puts the market cap at £5,800.75m at the time of this report. The stock is traded in GBX. Mcap is measured in GBP. This article was written with the last trade for NMC Health PLC being recorded at Friday, February 15, 2019 at 12:02:09 PM GMT with the stock price trading at 2786 GBX. Click NMC PHE SMIN TSCO for the full archive.